New info has revealed a raft of possible specs for upcoming Apple devices, including the 2nd generation iPad Air, the iPhone 6, and the long-rumoured iWatch. The chatter comes courtesy of TechNews.tw, a Taiwanese news outlet that claims to have insider info from supply chain sources. First up in the rumour roster is the next-gen iPad Air, which TechNews' tipsters reckon will tout a boosted 2GB of memory, the largest RAM we've seen so far on an iOS device. Apple's first ever iPad made use of a dinosaur-era 256MB RAM, although the first-gen iPad Air leapt to a more sizeable 1GB of memory. By comparison, Samsung's new Galaxy Tab S sports a much bigger 3GB of RAM. 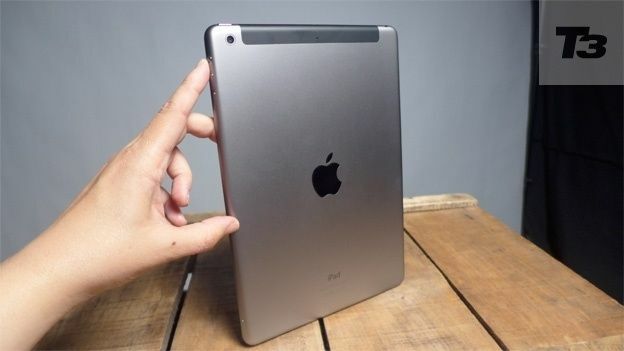 The site also says the iPad Mini 3, which could be released alongside the Air sequel, will stick with 1GB of memory. Next up is the iPhone 6, which TechNews claims will also be packing 1GB of RAM, in contrast to previous rumours that Apple's next flagship smartphone would see an increase to 2GB. The report also reveals some info about the surprisingly un-leaked iWatch, tipping 512MB of memory and 8GB of built-in NAND flash storage. We still know very little about the iWatch, although these specs suggest it could be designed to operate independently from other Apple products, and won't rely on an iPhone or iPad to function. Check out our rumour round-up pages for the iPad Air 2, the iPhone 6, and the iWatch right here on T3.com.